They love to play, and need stimulation with its accompanying exercise. 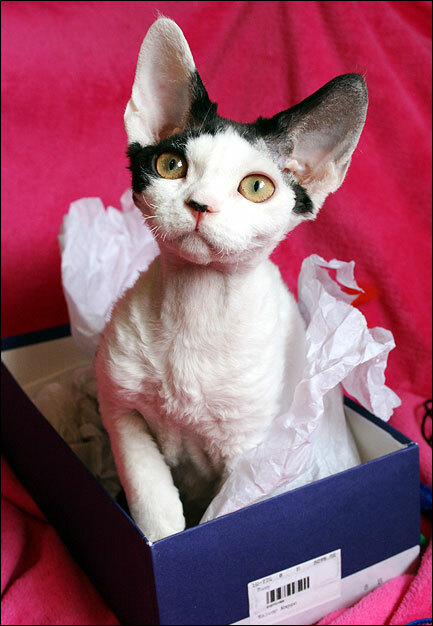 As cat owners, we can spend a lot of money on cat toys, or we can make some of our own. 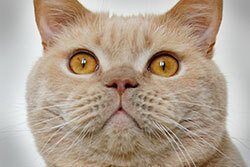 First, you likely have many things around the house that can appease your felines. This is an economical and environmentally friendly option. 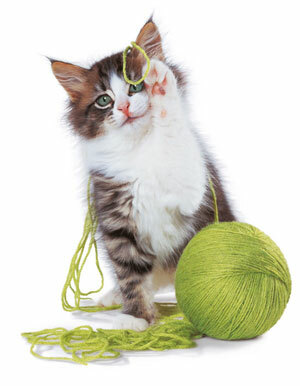 Remember to always keep your cat's safety in mind when creating a new toy. Milk jug rings, a favorite of my British Shorthair. Paper grocery bags. Cut holes in bag for even more fun! You can also easily make some toys with a few supplies that you may already have, or that can be inexpensively purchased. 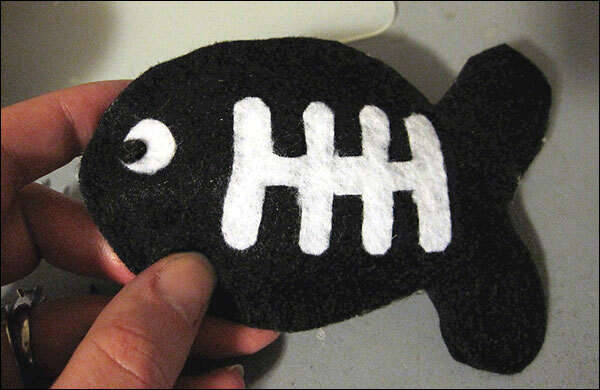 I sat down and made a felt fish from start to finish in less than 30 minutes. I didn't have a pattern, or instructions. My main goal was to create a cute toy quickly and easily. I intentionally left imperfections in order to stick with my goal! Think of a random item. Be creative. The first thing that came to my mind was a skeleton fish, that looks more like a black football with eyes and a tail. I went with that idea! Fold your felt in half and cut out the shape. I just started cutting - no tracing or pattern involved. Cut out any desired embellishments. Prepare pieces for gluing. Remember to flip one of your cut pieces over so that they mirror each other. Begin gluing the body around the edge. Leave at least a one inch opening. Add catnip and lightly stuff. Give to kitty and stand back and enjoy the show! And here is an imperfect photo to demonstrate my perfectly functional cat toy! Next time you have a bored kitty, look around the house. You already have simple items that can provide hours of fun! 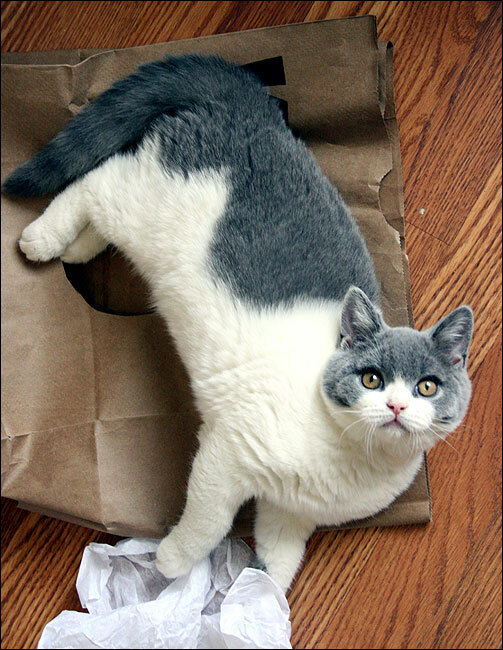 Mollie Shutt started her blog, The House of Meow, to chronicle the adventures of her British Shorthair and her adopted shelter cat. 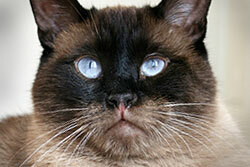 Her blog has also become a place for information about being a cat show newbie as well as do it yourself cat projects. Outside of cats, Mollie is an accomplished bassoonist and avid cyclist. After working full time for many years in online community management and website administration, she opted to take a new job as a full time mom and cat servant.